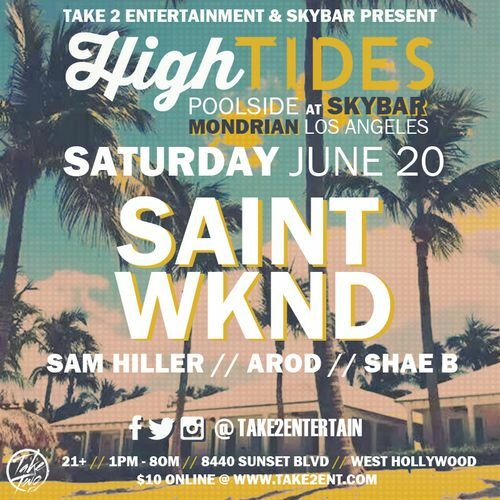 High Tides Pool Party @ Poolside at SkyBar. 1:00 pm. Saint WKND on the decks with many more special guests coming. $10 pp online purchase.